April is bringing in a rush of color throughout the garden. Blooms are popping open and attracting visitors, new growth is increasing everywhere and new colors are being seen where before there was just…. Green. Got two plants last year from a nursery. Only this one survived, but oh what a treat to see it popping up into maturity – So bright, juicy and red. Yum! 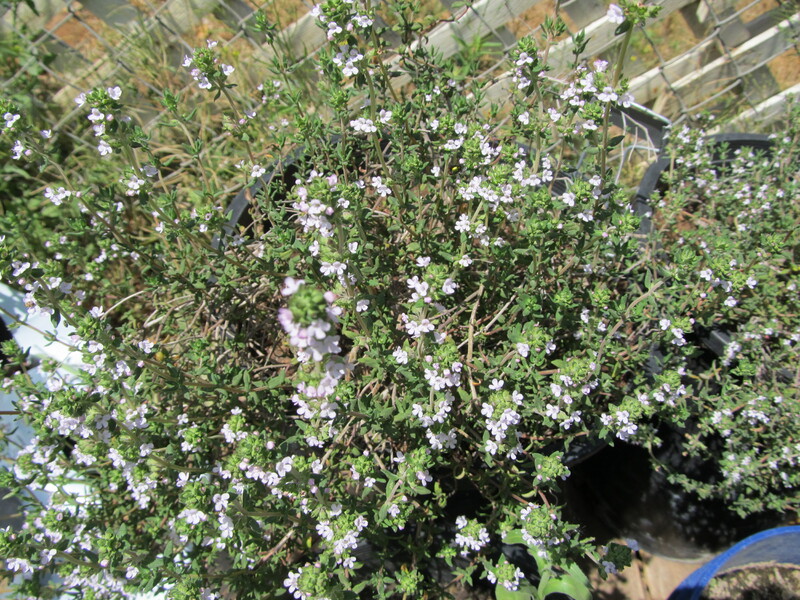 The Thyme is in full bloom now and looks lovely with its tiny white flowers. 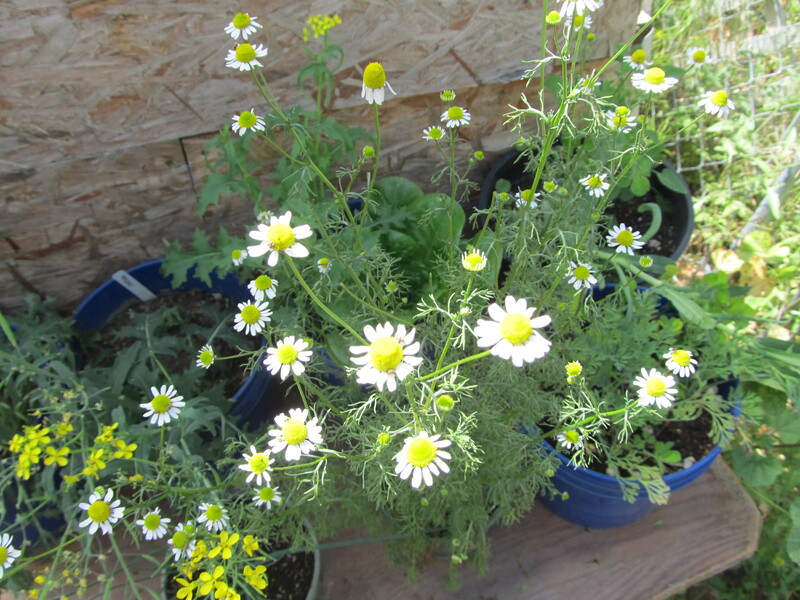 The Chamomile has stretched up and thrust its flowers upon us. The flowers get hand picked and dried. 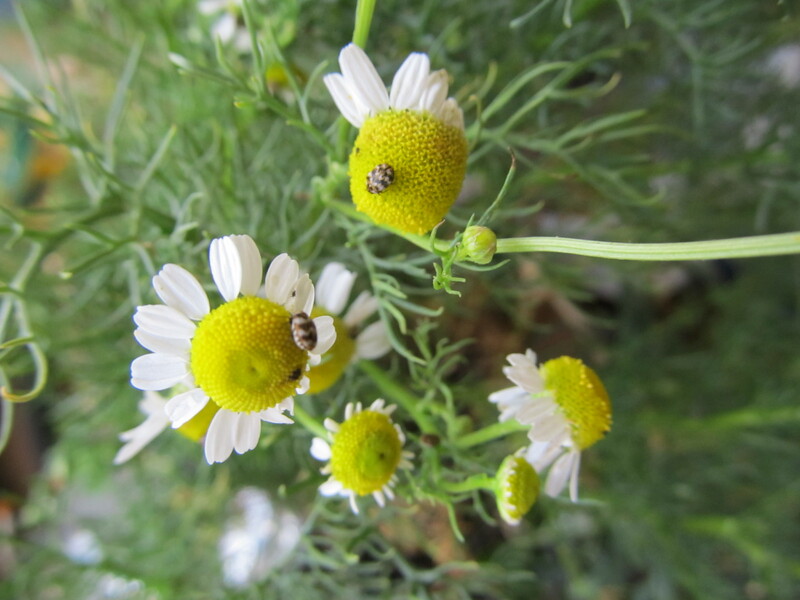 These little brown striped bugs seem to really enjoy the flowers, they don’t seem to be doing much damage – I flick the flowers to get them off before picking. All these beauties are encouragement to get in the garden and dig in, this is only the beginning of the mad rush – try to step back and enjoy the beauty and the process of it all!Check out Daphne’s Dandelions to see other peoples’ gardens from around the world. 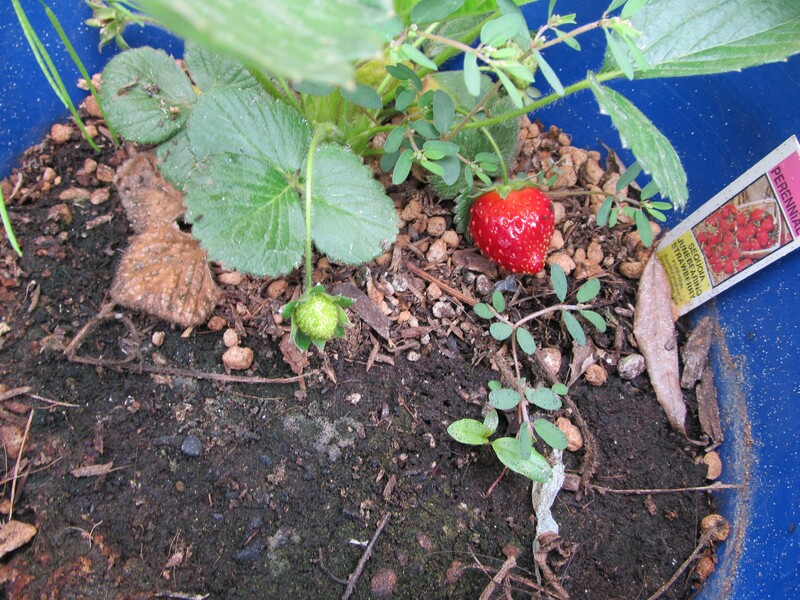 This entry was posted in Garden Updates and tagged april strawberries, blooming chamomile, blooming thyme, blooming thyme april southern california, chamomile in april, ern california gardening blog, strawberry in southern ca in april, thyme in april. Bookmark the permalink.